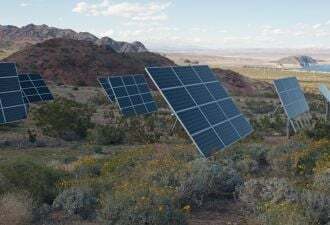 Along with the emergence of three distinct ownership models (customer-owned, third-party-owned, and utility-owned), the U.S. photovoltaic (PV) market has grown, over the last ten years, at an average annual rate of approximately 70 percent, according to GTM Research. Just-released GTM Research numbers show no slowing of growth in the sector. Q1 2012 was solar PV’s biggest first quarter ever. California hit a record solar peak of 894 megawatts on June 8. The bulk of national solar growth has been in rooftop installations. 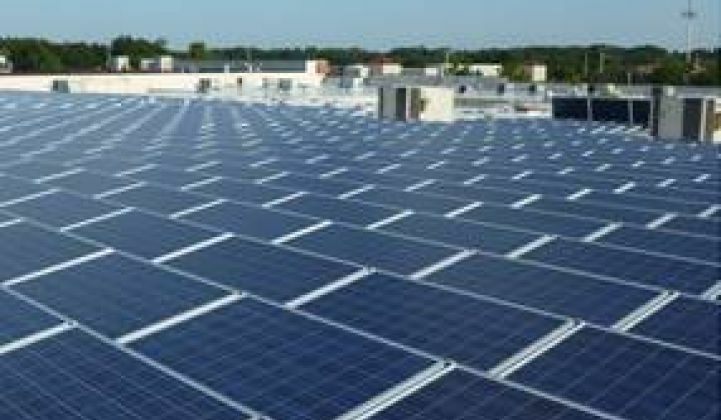 More than 62,000 systems were installed in the U.S. in 2011, bringing the national cumulative total at the end of the year to over 203,000 distributed PV systems making up an installed capacity of almost 2,700 megawatts (AC). A 30 percent federal investment tax credit (ITC), put in place for eight years in 2008, and net energy metering (NEM), in place in 43 states and D.C. that assures system owners are reimbursed at retail rates for the electricity they send to the grid, have both inclined home and business owners who can manage the rapidly falling upfront costs to make a commitment to rooftop solar. It makes up the largest segment of the PV solar market. In 2009, residential systems were 87 percent customer-owned and commercial systems were 49 percent customer-owned. Customer ownership of commercial systems increased in 2011 to 58 percent. But as third-party ownership became the fastest-growing segment of the residential rooftop sector of the industry, customer ownership of residential systems fell to 59 percent and third-party ownership of residential systems went from 2009’s 13 percent to 41 percent in 2011. 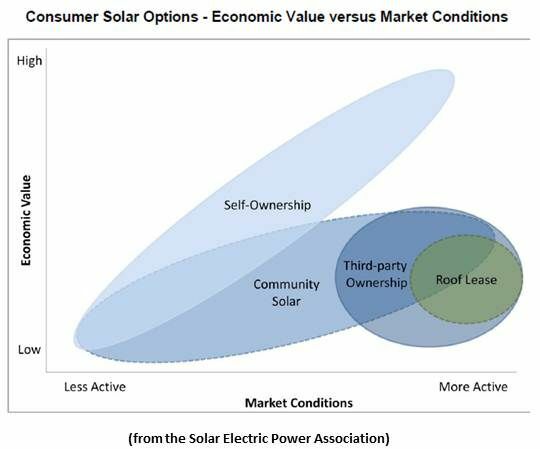 Third-party ownership allows homeowners the opportunity to have solar while freeing them from the burden of high upfront costs and ownership risks. The numbers show these are less significant obstacles to business rooftop owners. According to Clean Power Finance CEO Nat Kreamer, whose company has put in play half a billion dollars of institutional investment capital, as much as 45 percent of an investor’s outlay can come back as a tax benefit in the loan’s first year and the overall percentage return on investment is between the high single digits and the mid-teens. The economics of solar, with the ITC and NEM in place, allows third-party owners to profit while homeowners reduce their electricity bills anywhere from 20 percent to 50 percent. Driven by state renewable energy standards (RESs), utility ownership is growing. It represented only 8 percent of U.S. installed capacity in 2010 but estimates put planned utility installations this year at perhaps 700 megawatts (AC). 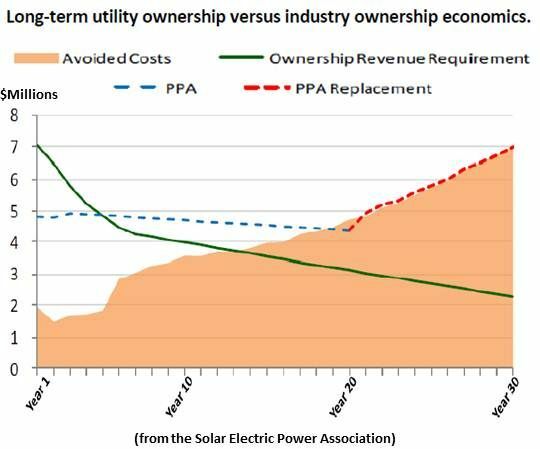 Utilities that invest in distributed solar stand to lower their subsidy payouts, recover closer to the full cost of service in rates, mitigate some of the impacts of lost revenue and non-participant costs and guarantee a regulated rate of return, especially on costly peak period generation. The main obstacle to customer ownership is customers’ awareness of opportunities. The obstacle to third-party ownership is the complexity of roof owner/system financier contract legalities. Utilities see solar’s cost and contending with its variability as their key barriers. Customer education, efficiencies and economies of scale are presently keeping solar PV growth at a record pace. Impacts of the 1603 cash grant expiration, the price response to the brewing solar panel trade war with China and the waning of the ITC and other incentives on the horizon might threaten the trend.